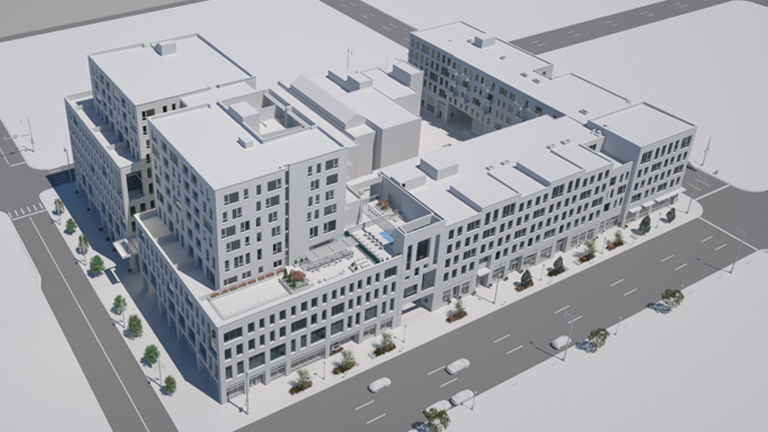 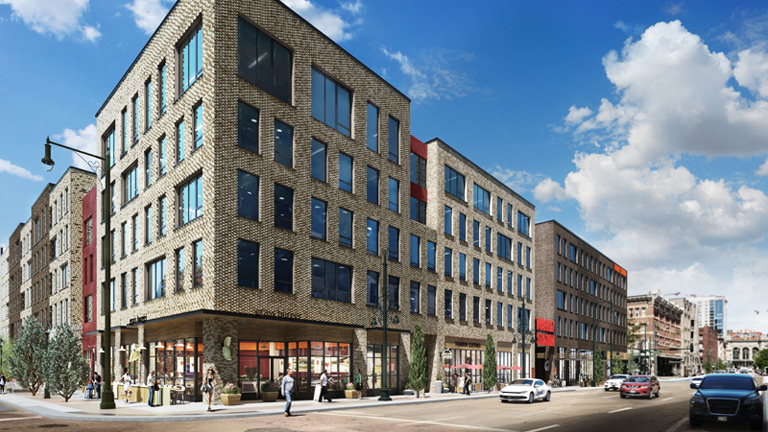 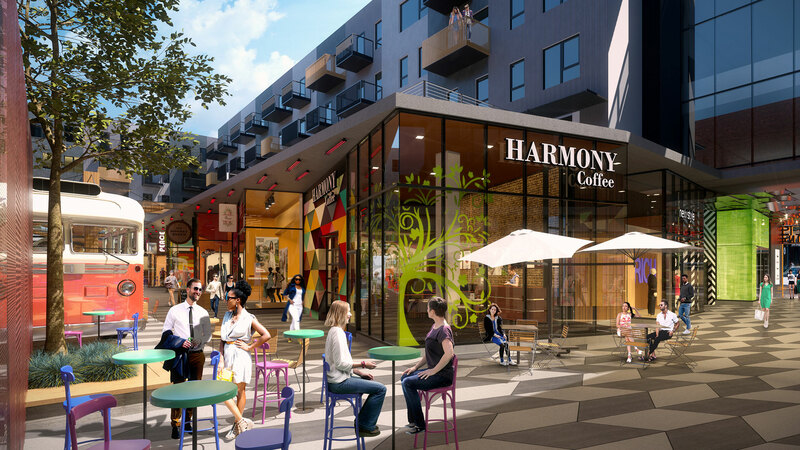 A full city block of retail, residential, office, food and beverage defined by 16th, 17th, Blake, and Market Streets providing an extraordinary alternative destination for the Lower Downtown District. 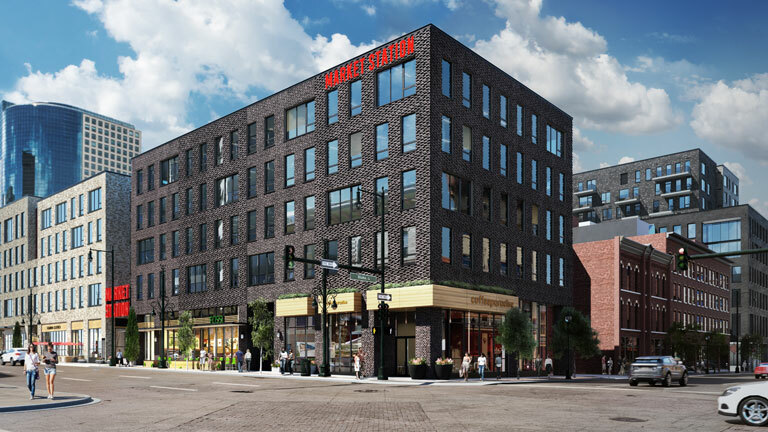 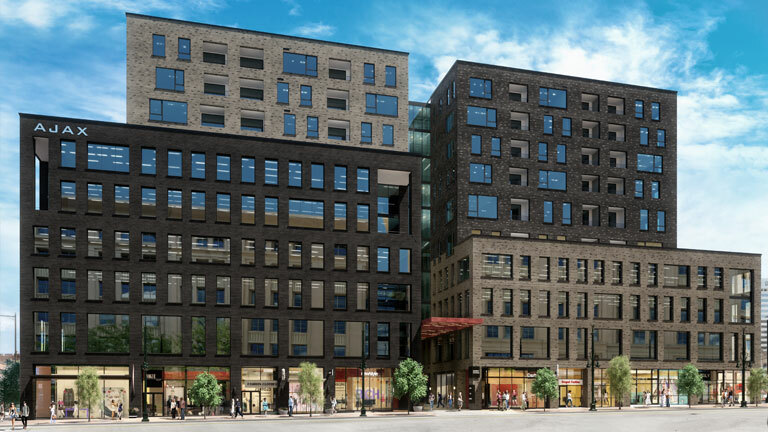 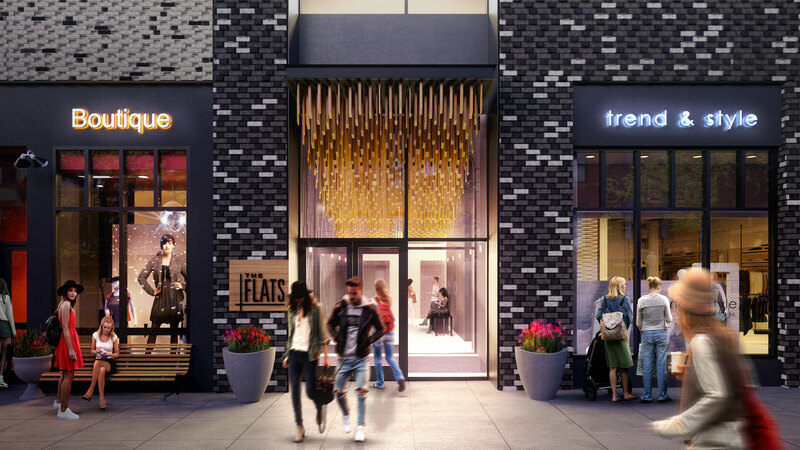 The pedestrian arcade and paseo which bisects the site along both axes will offer a highly animated interior space intended to provide a wholly new experience to the downtown Denver retail scene. 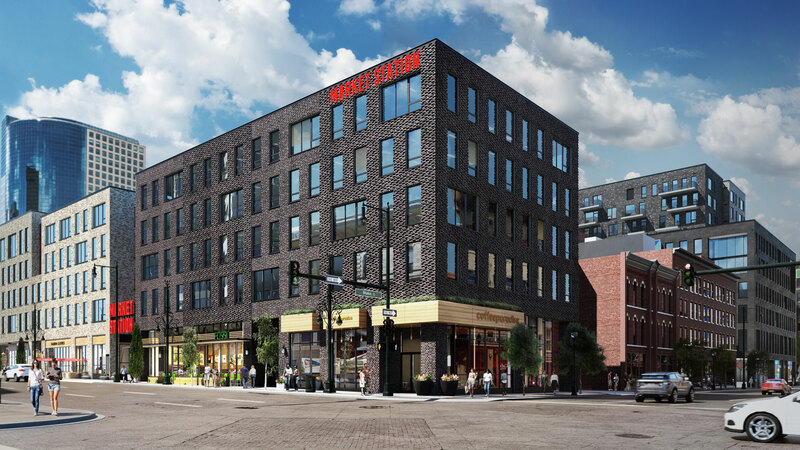 Each façade at Market Station will encompass a unique architectural approach, reflecting and embracing the LoDo aesthetic.